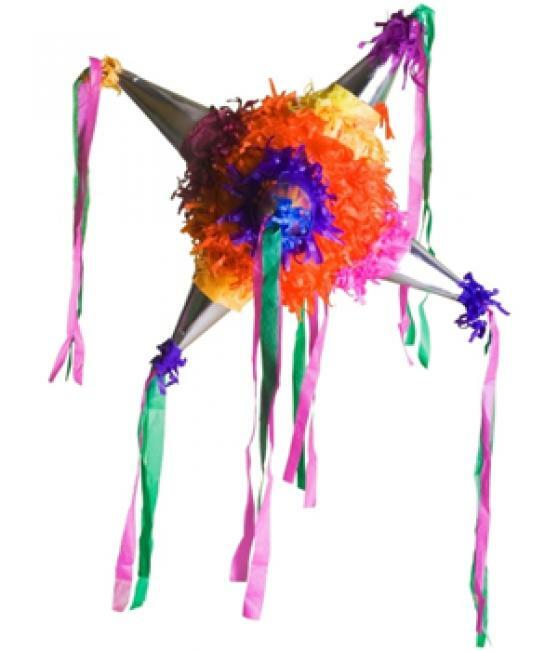 Pinata’s are big colourful party decorations made of paper mache and covered in tissue or crepe paper. They are filled with treats like toys and sweets. 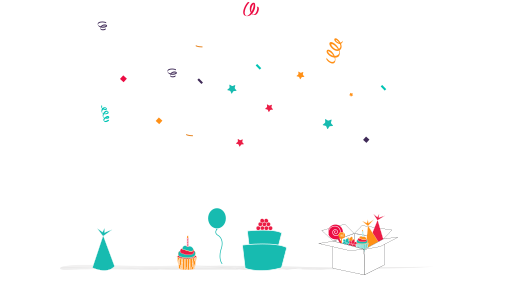 When kids find out there is a pinata at the party they know there is going to be some fun and so get really excited, because the Pinata is a really fun party game. Although some grownups may not like the thought of bashing something until it breaks apart, from my experience children absolutely love them and as long as you know how to use them things should run smoothly at the party. Pinata’s are mainly thought of as being Mexican as they have such a long history of making wonderfully colourful Pinatas. The custom is thought to have been brought to Mexico by the Europeans in the 16th Century where there was a tradition of breaking a jar full of treats. Going back even further it is thought that Marco Polo brought the tradition to Europe from China where he saw paper covered figures of cows and buffalo that were filled with seeds and then broken open. Alcoman in Mexico hosts an annual Pinata fair and it is meant to be one of the original communities that specialise in making them. Star shaped Pinatas are still popular at Christmas but the original donkey shape has on the whole been replaced by cartoon characters and party themed decorations. To fill a Pinata first find the sticker showing the ‘fill me’ hole and open it. Fill with small sizes of sweets or candy that will fit through the hole. 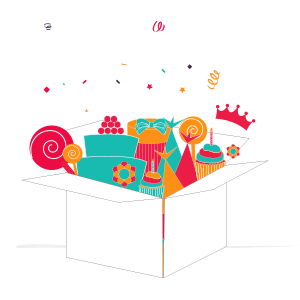 Add some party favours or small toys, again making sure they are small enough to fit through the hole. For an extra visual experience you can also put in little tissue squares that will rain down when the Pinata comes apart. Always fill your Pinata before the party. 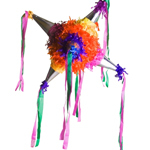 Use the Pinata as a decoration during the party, it looks great and you will create excitement about playing the game. 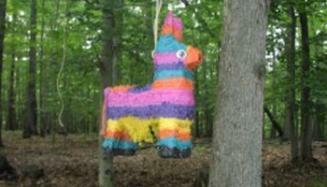 Use the Pinata as the Party finale. When you are ready to play, hang your Pinata. The branch of a tree is great. Pinata is really an outside game but if you want to play indoors make sure you are in a venue with a lot of room. Keep the Pinata basher away from the children until you are ready to play. Make sure everyone has moved back from the Pinata, we don’t want anything else getting bashed! Get the smallest player to go first, that way the stronger players won’t destroy the Pinata on the first go. Spin the player around three times and stop them whilst they are facing the Pinata. The player gets three hits before the next player has a turn. IMPORTANT when the Pinata bursts make sure the player has stopped swinging the basher and you have taken possession of the it before the other children run forward to claim their prize. If you have a string Pinata you can play in two ways. Young players can all take hold of the ribbons at the same time and pull together. Take turns pulling the ribbons, you can even use a blindfold for extra fun.